Ghosts. Killer Clowns. Sheriff Donna. Sounds like a Supernatural case of the week, you betcha. After those huge reveals of the Darkness is God’s sister and Sam seeing the cage on Supernatural Season 11 Episode 6, it wasn’t a surprise that things would settle down for a classic monster hunt. Or in this case, a vengeful ghost that was connected to creepy costumes. I really wasn’t sure where the heck Supernatural Season 11 Episode 7 planned to go after introducing the rabbit-head killer. And I’ll admit that the silence of the guy wearing the rabbit head was rather uncomfortable. It seemed as if the episode was going to get weird really fast. I kept thinking of the Donnie Darko rabbit, and then when they said they couldn’t get the mask off, I recalled that Goosebumps book “The Haunted Mask.” I’m just glad the masks weren’t anything like Jim Carrey’s movie The Mask. The silence behind each attack made them that much scarier. Though, the scene that was most cringe-worthy was when the ghost was using that clown mask. First there was that creepy smile and head tilt, and then there was that graphic slicing of the guy’s throat with all the blood splatter. And that was after seeing a guy get stabbed with a beer bottle and another smacked around with a kettlebell. It was also great that Sam, who of course has a fear of clowns, had to be the one to take on this killer costume in the elevator. And I liked that the fight didn’t start right from Sam seeing the clown. Instead, it was a creepy pause as the clown stepped into the elevator, slowly turned around and faced Sam, and then Sam attacked. Of course, Sam and Dean managed to defeat the ghost by the end per usual. This go around, they did have Sheriff Donna's assistance. 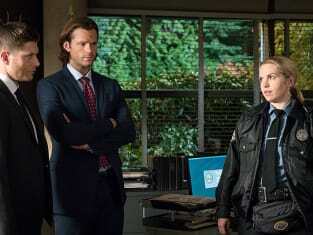 And while I didn’t really care for the last two episodes she was in – Supernatural Season 9 Episode 13 or Supernatural Season 10 Episode 8 – I was relatively indifferent to her return. A familiar face usually adds to an episode, and she was OK overall for the hour. She’s definitely far more campy than other characters Sam and Dean have run in to, but I’d much rather get a campy minor character than say someone who is supposed to be a big bad…cough…Rowena. Though, can we really call her a hunter after just three cases? It’s a nice gesture from Sam and Dean, but I still think she’s a long way from being able to take on the things that go bump in the night by herself. Certainly, Sam and Dean need to stick together if they want to be able to take down the Darkness. And while the Darkness was mentioned briefly at the start of the hour, I enjoyed how the case of the week was capped off with a great open conversation about the larger story. Sam opening up to Dean about seeing the cage was another huge step. He’s trying to figure out what to do, about what the visions mean, and it was good to see him trying to get some help from his brother. And I get Dean’s response about the cage being suicide. I just worry that that look Sam gave at the end means he may now try and go this alone because of Dean’s disapproval. Something big is definitely going to happen with the cage, and soon, and I’m excited to see how it all goes down. "Plush" definitely had some creepy moments, but it was a pretty straightforward case of the week. 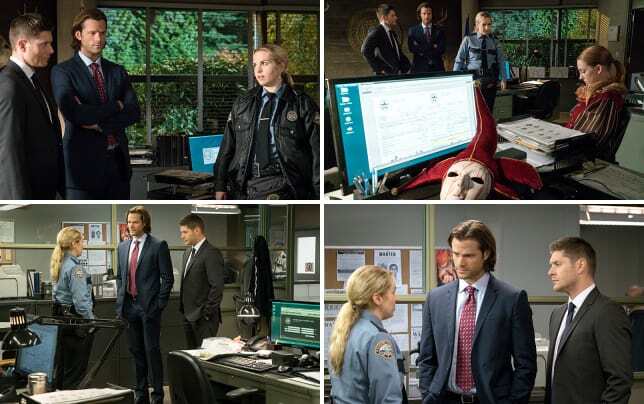 Though, it is great to see Sam and Dean continuing to work together. Let's hope that part can last. Were you excited to see Sheriff Donna? What's Sam going to do with the cage? 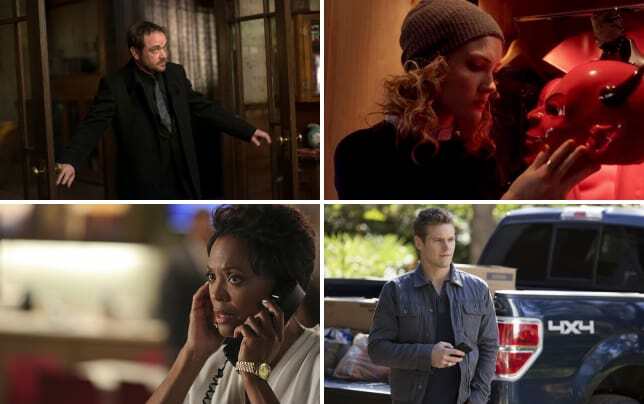 Sound off below, and catch more cases of the week when you watch Supernatural online!